Knowing all about NASCAR and knowing how to play Fantasy NASCAR are two very different things. There are fans of NASCAR that can tell you every driver in NASCAR and what their cars look like and who their sponsors are and even their favorite music but give them a NASCAR fantasy lineup to fill out and they become mediocre at best. There is no doubt, the more you know about NASCAR, the better your NASCAR fantasy team will look like. However, unlike the past where you would draft NASCAR drivers for the whole year, the opportunity now exists to play daily fantasy NASCAR. The advantage is that with sites like DraftKings offering the opportunity for weekly NASCAR fantasy games, you can adjust your fantasy team every week and not get locked into a full year of racing. Our Fantasy NASCAR Strategy Guide below outlines top Fantasy NASCAR strategies that you can use to win real money when you play Fantasy NASCAR at some of the top Fantasy NASCAR sites. Most Fantasy NASCAR contests are based on a point system of where the driver finishes in a race but some fantasy NASCAR contests award for laps led or qualifying finish. Know what the scoring system is for your fantasy NASCAR pool or site and make your picks accordingly. This is the most important Fantasy NASCAR strategy. When NASCAR changes rules on car set ups or how races are run, it can have a huge effect on certain drivers and as a result change Fantasy NASCAR strategies. Going into the first NASCAR race of the season, know what new rules have been implemented and how it will affect the driver you are looking to choose for that week’s fantasy NASCAR team. Some rule changes are meaningless for fantasy players but some can swing the balance of power for drivers. 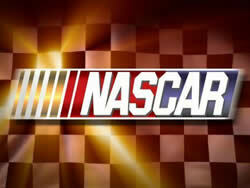 There are top NASCAR drivers, second tier drivers and the also rans of NASCAR. Typically the top racers will be the popular choices and they will also be the costlier drivers to choose when making up your fantasy NASCAR team. It is best to know as much about the drivers as you can such as who’s looking for a new team, who is facing the prospects of losing their ride, who is the up and coming driver, who is the NASCAR driver who usually gets picked because of his name but has steadily declined in wins and top ten finishes. Fill your head with knowledge from the countless websites, magazines and blogs devoted to everything NASCAR. How does that week’s track run? Does it favor particular drivers and does in hinder others? Is the track notorious for crashes? Is the race subject to restrictor plates? These are all questions to ask to yourself when looking at setting a NASCAR fantasy lineup. Every track and every race sets up differently for a driver and knowing how the track favors or limits particular NASCAR drivers will guide your fantasy NASCAR lineup. Even NASCAR drivers fail to come up with the answer as to why there are some tracks they can tear up and there are some tracks that they absolutely can’t race well on. Although some people discount past performance of a particular driver on a particular NASCAR track, the fact remains some drivers do better on certain tracks than others. Do your research every race on how a driver finished the previous years. He may not have won but if he is always in the top 5 or top 10, he’ll be a good bet to finish near the top that week as well. Reasearching past performances isessential to winning Fantasy NASCAR games. When drivers run qualifiers, you can tell who is struggling to adjust to the track and which team may already have mastered the track. Don’t get in the habit of setting up your lineup too early - wait for the final qualifying before setting your fantasy NASCAR lineup. The numbers won’t change at DraftKings or other sites after the qualifying is completed so make sure you factor that into your NASCAR fantasy strategies when choosing your final lineup. Hey, when you're hot, you’re hot! There are some drivers and NASCAR teams that will go on streaks where they can do no wrong. They may not get the checkered flag but finishing in the top 5 every race can land you nice fantasy rewards if you ride the hot driver. If you notice a second tier or also ran driver put together 2 good races in a row, it may be worth the gamble to pick him up for that week’s fantasy NASCAR team allowing you to allocate more salary cap money to other top tier drivers. Vegas odds makers are pretty sharp when they post betting lines for the sportsbooks. Whether it’s for an online sports betting site such as Bovada, or in Las Vegas itself, odds makers set NASCAR race lines for the public and it’s their job to know who will run best on race day each and every week. Odds makers use the same information that has been already discussed here about track knowledge, past performance etc... so when they rate who they feel is favored to win that particular NASCAR race, they at least have an idea of what they are talking about. I wouldn’t simply rely on their odds as gospel for your fantasy NASCAR team, but to keep current odds next to you when choosing your NASCAR fantasy team can be a great Fantasy NASCAR strategy. Reading about NASCAR racing will only get you so far in fantasy NASCAR. Take the time and watch the sport - see who seems to be running hot, listen to what the analysts are talking about as they can offer insight into certain issues that aren’t being written about. Follow the points chase towards the middle and end of the NASCAR season. Knowledge is key to picking which NASCAR fantasy driver will step up that particular race and which one will falter. Interested in trying Fantasy NASCAR games? Check out our list of Where To Play Fantasy Nascar Online.